More than one and a half century ago, a far greater ‘superman’, Jose Rizal, was born in the place. His father, Francisco Engracio Rizal Mercado, was an independent-minded, taciturn but dynamic gentleman from whom Jose inherited his ‘free soul.’ Don Francisco became ‘tiniente gobernadorcillo’ (lieutenant governor) in Calamba and was thus nicknamed ‘Tiniente Kiko’. Students’ comical conjecture that the fictional character ‘Kikong Matsing’ of‘Batibot’ was named after Don Francisco is, of course, unfounded. Francisco’s great grandfather isDomingo Lam-co, a learned pro-poor or ‘maka-masa’ Chinese immigrant businessman who married a sophisticated Chinese mestiza of Manila named Ines de la Rosa. One of their two children, Francisco (also),resided in Binanand married Bernarda Monicha. Francisco and Bernarda’s son, Juan Mercado, became a ‘gobernadorcillo’ (town mayor) of Biñan, Laguna. 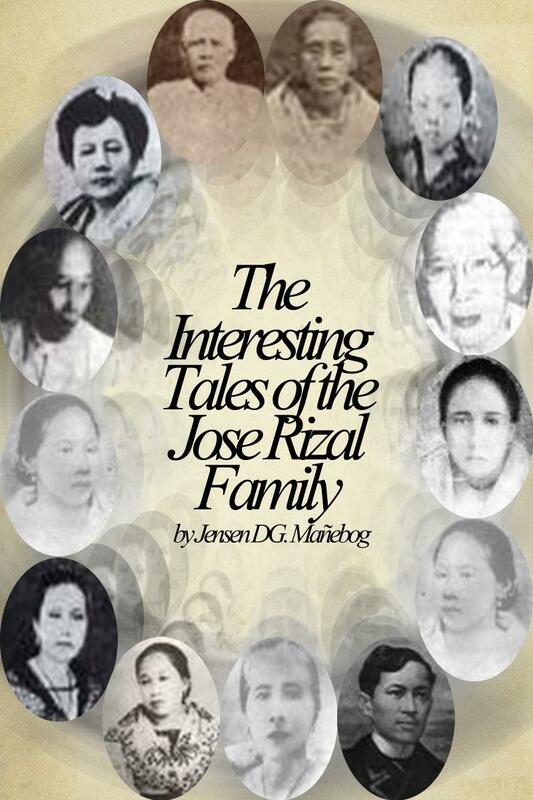 He married Cirila Alejandra and they had 12 children, the youngest being Jose Rizal’s father, Francisco. Jose’s father was born on May 11, 1818 in Biñan, Laguna. When he was eight years old, he lost his father. He was nonetheless educated as he took Latin and Philosophy at the College of San Jose in Manila, where he met and fell in love with Teodora Alonso, a student in the College of Santa Rosa. Married on June 28, 1848, they settled down in Calamba where they were granted lease of a rice farm in theDominican-owned haciendas. When Jose was seven years old, his father provided him the exciting experience of riding a ‘casco’ (a flat-bottomed boat with a roof) on their way to a pilgrimagein Antipolo, and to visit afterward Saturnina at the La Concordia College in Manila.As a gift, the child Jose also received a pony named ‘Alipato’ from his father (Bantug and Ventura). One of Jose’s childhood tutors, Don Leon Monroy, was Don Francisco’s friend whom the father personally chose to teach his son the basics of Spanish and Latin.When Monroy died after five months of tutoring Rizal, Don Francisco sent his son to a school in Biñan. After sometime, Jose told his father that he had already learned all there was to be taught at Biñan. Teniente Kiko firmly scolded Jose and hustled him back to the school. Maestro Justiano Aquino Cruz, Jose’s teacher in Biñan, later confirmed nonetheless that Jose had indeed finished already all the needed curricular works. Against his wife’s reluctance, Don Francisco then sent Jose to enroll at the Ateneo Municipal in Intramuros, Manila. When Jose was in his third year in Ateneo, he became indulge in reading novels. Because Jose requested for it, his loving father bought him an expensive set of theUniversal History by Cesar Cantu. While boarding in a small house on Calle Caraballo, Jose was once persuaded by his landlady Tandang (Old) Titay to play the card game ‘panguingue’ for her. But Don Francisco suddenly arrived from Calamba and caught Jose at the ‘panguingue’ table. The father scolded the young Rizal and the respectful son wholeheartedly accepted his father’s reprimand (Bantug and Ventura). After the Cavite mutiny and the martyrdom of the Gomburza in 1872, Jose, for the first time, heard of the word ‘filibustero’ (subversive). But Don Francisco then forbade the members of his family to utter the word.And when Rizal, upon his return to the country from Europe in 1887, wanted to visit his girlfriend Leonor Rivera in Pangasinan, his father strongly opposed the idea. Don Francisco believed that the visit would put Leonor’s family in danger since at the time Jose had already earned the label ‘filibustero’ for writing the controversial Noli Me Tangere. Later in his life, Jose would use the derivative of the term (filibusterismo) to name his more ‘subversive’ second novel. In 1891, Don Francisco, along with Paciano and son-in-law Silvestre Ubaldo, had escaped from the clutch of their Spanish persecutors and opted to join Jose in Hong Kong. The Overseas Filipino Workers (OFWs) were not that many in Hong Kong yet, but it is said that the 73-year old Don Francisco loved the climate in the place where he stayed with his beloved son. Rizal’s affection for his father may have not been given much emphasis by many biographies. But Jose, no doubt, adored Don Francisco. In 1881, Jose made a clay bust of his father. About six years later, he carved a life-size wood sculpture of Don Francisco. Perhaps, Jose even spent a lot of time finishing the life-size sculpture—because Don Kiko, unlike the national hero, was above average in height. In honor of his father, Jose named his premature son (by Josephine Bracken) ‘Francisco.’ The infant ‘Francisco’ unfortunately died three hours after birth. Pardon me for the pain with which I repay you for sorrows and sacrifices for my education. I did not want nor did I prefer it.